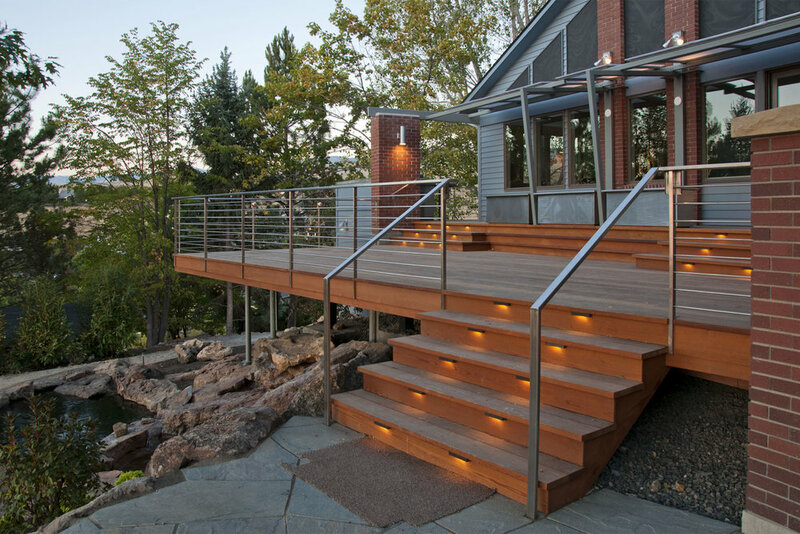 Foothills Residence — The Land Group, Inc. The design of this signature site was proposed based on a thorough analysis of the existing slope and soil structure of this foothills house. A 3D modeling technique was used after the design phase to assess the constructability and fine tune design details. 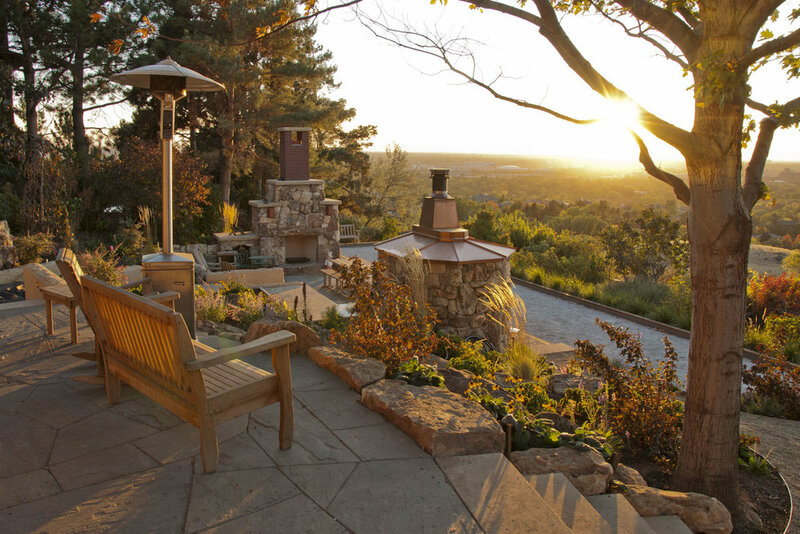 The new design reshaped the existing slope and faced the entire outdoor space to the gorgeous view of Boise. 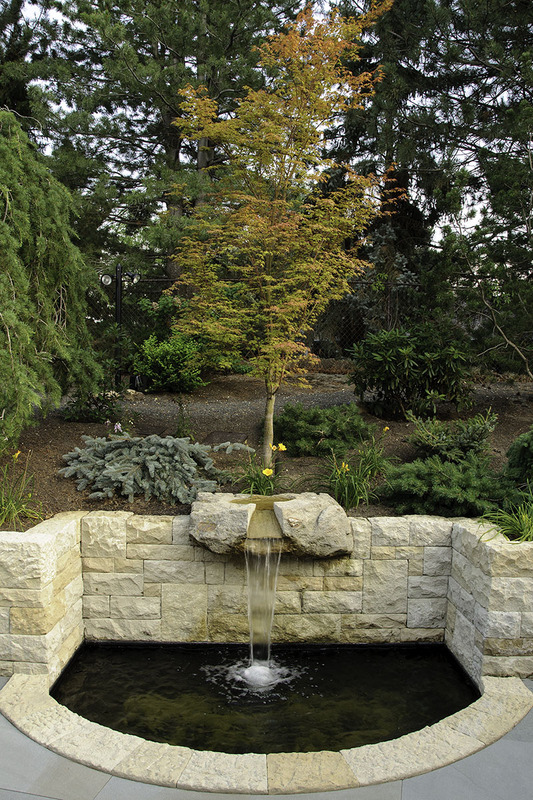 Boulders were recovered from the ground work of slope modification, and reused in the creation of the koi pond. Beautiful cobblestones were brought in from the east coast to make the driveway a unique space. 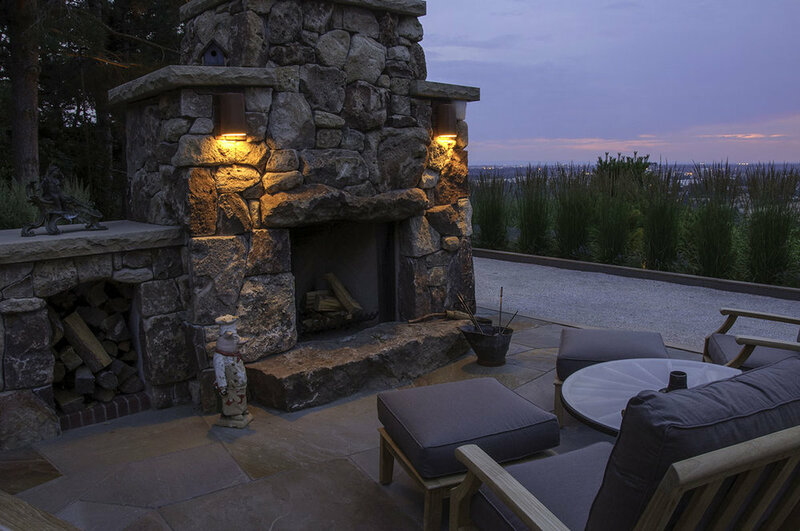 This piece aimed to provide a unique landscape, a comfortable backyard, and amenities, including a swing, a bocce ball court, a pizza oven/fireplace, and a putting green, that tailored to the owner’s lifestyle.